The year was 1972. We were 16 and 17. Both considered “smart girls” my friend Beth and I had to choose between “Science Core” and “Social Studies Core.” These AP classes were designed to super-charge our intellects and help us on our paths to becoming the wonder women of the 1980s. And so, we continued on those high-power academic and career tracks. Although we were both creative and never hid our love of culture and art, we didn’t believe that it was a path to building careers and making money. I have fond memories of gathering at Beth’s house with our classmates and knitting/crocheting cozy throws for our dorm beds. We took a break from SAT scores and exams and exercised our right brain hemispheres. Beth went on to Princeton/Harvard and became a physician. I graduated from the University of Michigan and NYU and rose up the corporate ladder as a brand marketer. We both had two kids. We got married (and subsequently divorced). 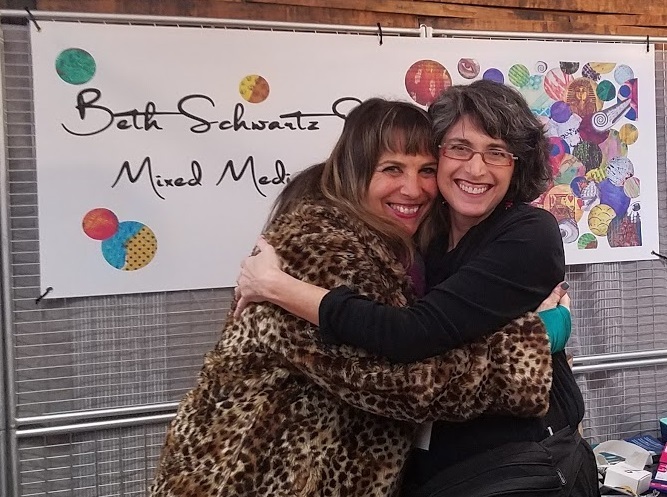 I surprised Beth Thanksgiving weekend by showing up at her first art show and sale. We talked about how, as empty-nesters and pre-retired women in our 60s, we have rediscovered our creative sides. We may live longer and happier lives as a result. Medical research suggests that exercising creative muscles has a positive impact on both mental and physical health. When we were busy building our careers and raising our kids we probably saw art as frivolous. Or we simply lacked the energy and inspiration to indulge in creative projects beyond mandatory pumpkin carving and the occasional hand-knitted sweater. Neither of us regrets the choices we made. We’ve both lived amazing lives — filled with science, humanities, AND art. Perhaps we appreciate our crafts (mixed-media for Beth and writing for me) because they never were a full-time job. 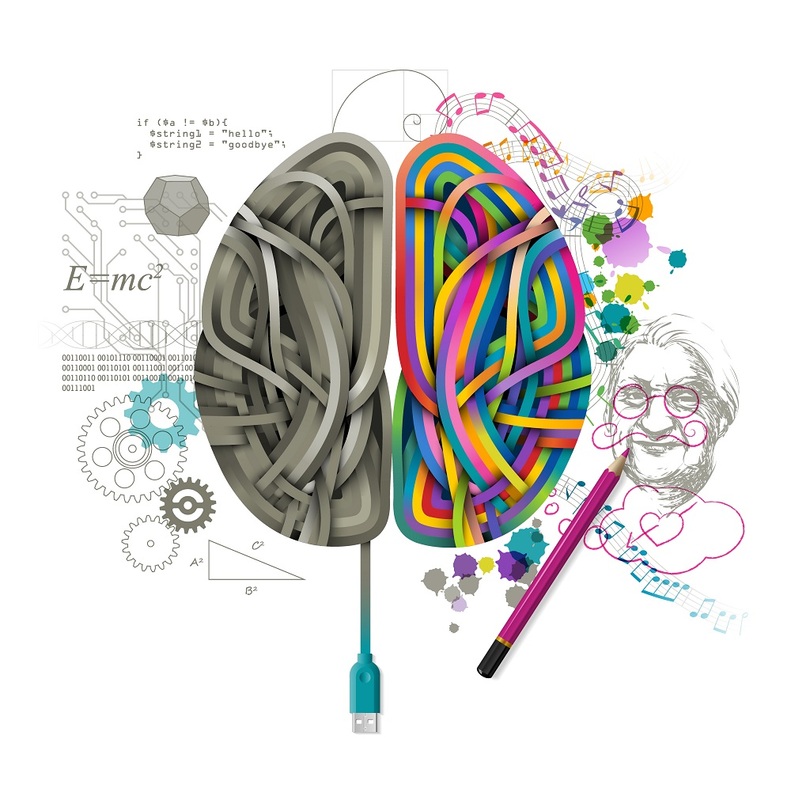 Although we should encourage our kids, grandchildren, and protegees to learn how to code and embrace STEM (science, technology, engineering, and math), we should let also them know that their artistic passions do not have to remain dormant for 45 years. Exercising that right side is every bit as important as memorizing the periodic table, building a robot, or bringing home that soccer trophy. As we age, let’s remember the crafts that gave us joy in our youth — or pick up a new hobby. We may live longer for it.